Bob Dylan is many things to many people. Each Bob Dylan joins a collective cast that has made up his persona for more than 50 years. No version of Dylan turns out uncomplicated, but the postmillennial manifestation seems peculiarly contrary - a tireless and enterprising antiquarian; a creator of singular texts and sounds through promiscuous poaching; an artist of innovation and uncanny renewal. The collection of essays does justice to this difficult Bob Dylan by examining his method and effects through a disparate set of viewpoints. Insightful looks into a true poet's work. 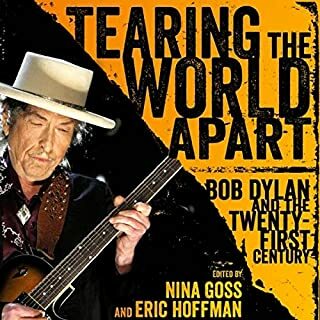 This book deals with the post millennial Bob Dylan and focuses on ‘Love and Theft’, ‘Modern Times’ , ‘Tempest’ and the film ‘Masked and Anonymous’. The various chapters are very insightful and offer much food for thought. However they are not always easy to listen to since they are mostly written by scholars. There is a depth to many of Dylan songs that not even most of his fans are aware of. This book gives insight into the work of a great songwriter and yes...a poet. I enjoyed it immensely and finished the whole thing in just two days. Would you listen to 200,000 Miles aboard the Destroyer Cotten again? Why? Yes...but not for a while. It's just a fascinating book. Yes, and as usual he did a very good job. I felt like it was the author talking to me. 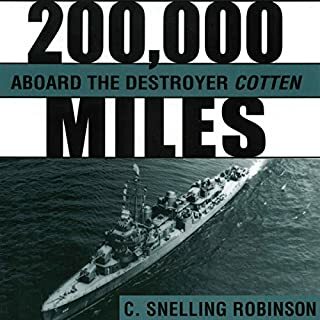 If you could rename 200,000 Miles aboard the Destroyer Cotten, what would you call it? Original name sounds fine to me. The is one of the best audio book I've heard...and I've heard a lot of them. This audiobook challenges several longstanding notions about the American way of war. 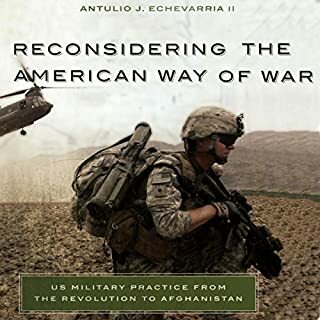 It examines US military practice (strategic and operational) from the War of Independence to the campaigns in Iraq and Afghanistan to determine what patterns, if any, existed in the way Americans have used military force. Echevarria surveys all major US wars and most every small conflict in the country's military history. Would you listen to Reconsidering the American Way of War again? Why? Yes. This is a rather "dense" book. I intend to listen to it at least once more. I have. He does his usual excellent job. This is not the kind of book that could be made into a film. As other reviewers have said...this should be required reading for anyone involved at high levels of the military and for all politicians. We should not keep making the same mistakes over and over. At the Mind's Limits is the story of one man's incredible struggle to understand the reality of horror. 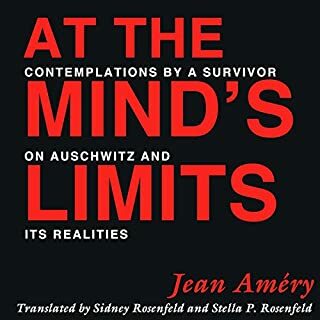 In five autobiographical essays, Amery describes his survival - mental, moral, and physical - through the enormity of the Holocaust. Above all, this masterful record of introspection tells of a young Viennese intellectual's fervent vision of human nature and the betrayal of that vision. Would you consider the audio edition of At the Mind's Limits to be better than the print version? Audio version was good. Don't have the print version so can't compare. What was one of the most memorable moments of At the Mind's Limits? Torture episode in the camp. Very intelligent reading. Well done. Quite a bit of it, actually. 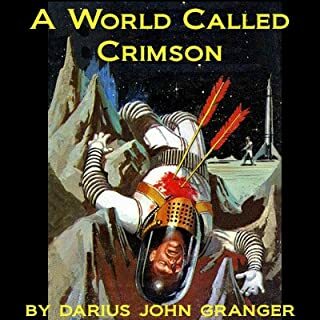 Darius John Granger was one of the best and most prolific writers of the "Golden Age" of science fiction. Many critics consider "A World Called Crimson" his best story. Think of it as The Lord of the Flies in reverse, with a setting on a faraway planet! Increbibly imaginative story - mixture of sci-fi and fantasy. Liked the reader, too. 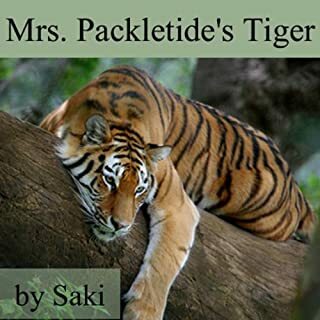 In "Mrs. Packeltide's Tiger" the title character,a society lady, decides that "bagging a tiger" is the perfect way to trump her rival. She goes on a safari and pays a great deal to lure a very old tiger within range. The results, however, are very different from what she had planned. Great story and love the narrator's voice. 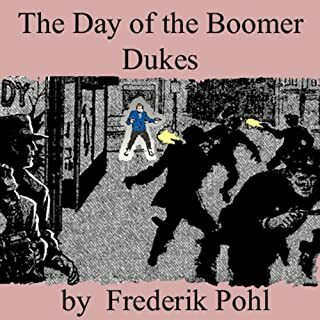 Pohl was one of my favorite SF authors when I was a kid but somehow I missed this one. Great story. Told in five parts and the fact that each part is told by a different narrator made it even better.